iOS 6.0.1 and iOS 6.0 Firmware's has been recently released from Apple for iPhone 5, iPhone 4S, iPhone 3GS, iPad 4, iPad 3, iPad 2, iPad Mini, iPod 5G Touch and iPod 4G Touch devices but on a initial stage its quite difficult to successfully Unlock and Jailbreak iOS 6.0.1 and iOS 6.0 Firmware On iPhone 5, iPhone 4S, iPhone 3GS, iPad 4, iPad 3, iPad 2, iPad Mini, iPod 5G Touch and iPod 4G Touch but iPhone dev-team is working quite hard and they have recently managed to Fully Unlock iOS 6.0.1 and iOS 6.0 Firmwares On iPhone 4 and iPhone 3GS Basebands Using UltraSn0w Fixer tool. So if you're using an Apple iPhone 4 and iPhone 3GS Smartphone running an iOS 6.0.1 or iOS 6.0 firmware than you can successfully unlock and bypass the carrier restrictions, which will allow you to Use any SIM Card on your iPhone 4 and iPhone 3GS device by using UltraSn0w Fixer. 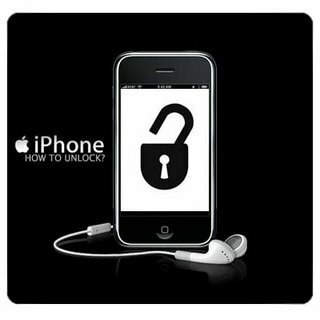 Currently only iPhone 4 and iPhone 3GS is capable to get Unlock if running iOS 6.0.1 and iOS 6.0 Firmwares. If you wants to bypass and remove all the restrictions from your carriers or third-party vendors on your iPhone 4 and iPhone 3GS than you will need to follow our Tutorial and Guide on How to Unlock iOS 6.0.1 & iOS 6.0 On iPhone 4 & iPhone 3GS Using UltraSn0w Fixer. For this tutorial you will need to have a Jailbroken iPhone 4 and Jailbrokein iPhone 3GS smartphones running iOS 6.0.1 or iOS 6.0 Firmwares. If your device is not Jailbroken than you can Jailbreak iPhone 4 and iPhone 3GS Running iOS 6.0.1 or iOS 6.0 Firmware from this link. Ultrasn0w Fixer for iOS 6.0.1 and iOS 6.0 will only work for iPhone 4 and iPhone 3GS users. So let’s start the Tutorial and Guide to Unlock iOS 6.0.1 & iOS 6.0 On iPhone 4 & iPhone 3GS Using UltraSn0w Fixer. Step 1: Launch Cydia, and select Manage, then hit Sources. Step 2: Next, you’ll need to add the iparelhos repository. If you've been organized and re-added your sources from iOS 5, then it should already be there, but if not, select Edit and Add, and type http://repo.iparelhos.com before hitting Add Source. Step 4: Now browse for Ultrasn0w Fixer for 6.0 utility in Cydia. Next, tap the Install button and let Cydia works rest of things, now Cydia will do the installation and Voila, your iPhone is now unlocked. Congratulations!! You have successfully Unlocked iPhone 4 and iPhone 3GS Running iOS 6.0.1 and iOS 6.0 Firmware’s. Enjoy! BEWARE: The above Content and Tutorial is only for informational and testing purpose and we at TechGlobeX don’t support or promote piracy in anyway. This article is purely for informational purposes only. Downloading and installing cracked apps are illegal. The whole purpose behind above tutorial and guidelines is for app testing and we encourage peoples to purchase original app directly from App Store.